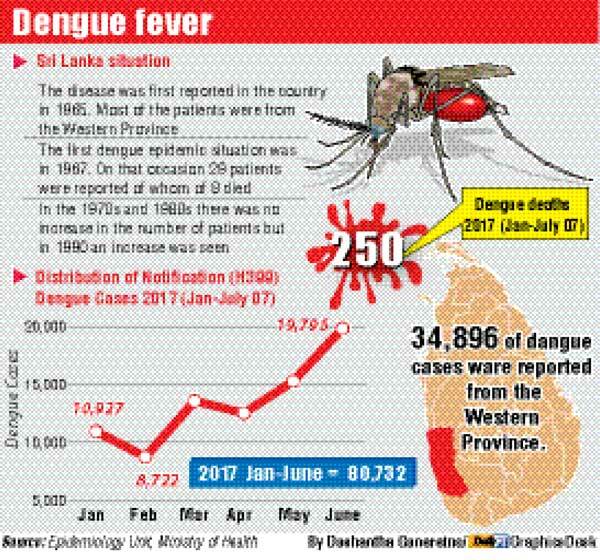 Sanofi Pasteur is to introduce its dengue vaccine in Sri Lanka following its success in 17 countries including Singapore, Thailand, the Philippines, Brazil and Mexico. A spokesman for the company told Daily FT that Sanofi is awaiting Health Ministry approval for the dengue vaccine’s use in Sri Lanka. “Sanofi Pasteur is cooperating fully and transparently with the regulatory authorities to find the best solution to get the vaccine in a timely manner to Sri Lanka’s citizens in order to help bring down the human suffering and cost burden of this disease in the country,” the spokesman added. Sanofi Pasteur introduced the world’s first and only vaccine against dengue in December 2015. In 2016, Brazil and the Philippines also launched large-scale public vaccination programs designed to address the specific dengue burden in these countries. Today more than 700,000 people have received two doses of the vaccine. The vaccine is the culmination of over two decades of scientific innovation and collaboration as well as 25 clinical studies in 15 countries involving 40,000 volunteers around the world. The vaccine, designed for dengue-endemic countries, is the first to be approved for the prevention of dengue and is proven to be effective against all four serotypes that cause the disease. Pooled Phase III clinical study results among populations at risk above the age of nine, over a 25-month period, pooled efficacy results which showed that the vaccine prevented two out of three symptomatic cases caused by any of the four types of the virus (65.6%), eight out of 10 hospitalisations (80.8%) and nine out of 10 severe dengue cases (93.2%). Based on these public clinical documentations, as well as on a set of mathematical modelled outcomes of the potential public health impact of the dengue vaccine’s implementation in highly endemic settings, the WHO recommended, in its position paper published on 29 July 2016, the use of the vaccine in endemic countries as part of a comprehensive prevention and control strategy. “Dengue generates a high physical, emotional and financial cost for the patients, and represents a high economic burden for any endemic country. We hope to introduce the dengue vaccine in a timely manner to help reduce human suffering and will do so as soon as the approval is granted,” a spokesman for the company said. Sanofi Pasteur, the vaccines division of Sanofi, provides more than one billion doses of vaccine each year, making it possible to immunise more than 500 million people across the globe. A world leader in the vaccine industry, Sanofi Pasteur produces a portfolio of high quality vaccines that matches its areas of expertise and meets public health demand. The company’s heritage, to create vaccines that protect life, dates back more than a century. Sanofi Pasteur is the largest company entirely dedicated to vaccines. Every day the company invests more than EUR 1 million in research and development.